Investors are cautious and scrap processors are downright jittery. Industry experts say 2017 will probably be better, but business is still unlikely to be robust. According to Sean Kelly, a research assistant in the Center for Resource Recovery and Recycling at Worcester Polytechnic Institute in Worcester, Massachusetts, the industry is certainly down and this has a great deal to do with the foreign tariff battle regarding specific commodities, among other things, such as dumping (selling below cost). The U.S. Department of Commerce (DOC) recently imposed preliminary duties on imports of cold-rolled steel, used to make auto parts, appliances and shipping containers. Seven countries, including China, are targeted because of their dumping that has significantly hampered the U.S. steel industry and deflated steel prices around the world. The tariffs against China have affected the U.S. auto recycling industry immensely. Up until early this year, China was overproducing and flooding the globe and steel prices were in a free fall. In a similar turn of events, China has started imposing anti-dumping tariffs on certain steel imports from the European Union, Japan and South Korea, all of which has a ripple effect on the U.S. recycling industry. As the industry continues to struggle, more and more companies are working hard to ensure all metal bearing items end up being refined and recirculated back into the economy. 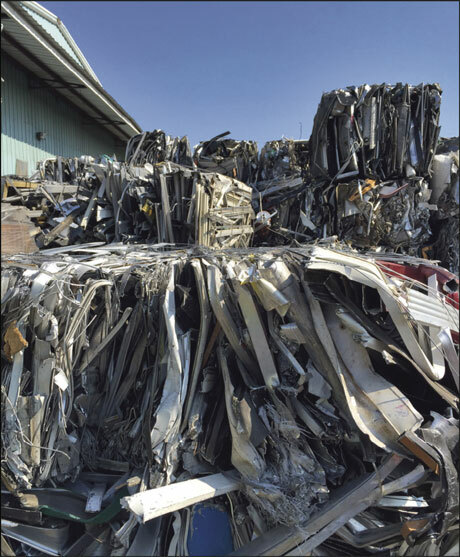 In fact, the Aluminum Association’s Aluminum Transportation Group (ATG) recently released a study on automotive aluminum that found the recycling rate for end-of-life vehicles to be in excess of 90 percent. The study was intended to obtain a more quantitative understanding of the fate of automotive aluminum at the end of its service life. GLR operates 11 locations and joint ventures in Michigan and New York, ranging from 3 to 20 acres, employing approximately 150 people, recycling over 100 million pounds of metal, paper and plastic and over 15,000 cars per year, with annual revenues of over $75 million. What GLR has done is very unique to the industry. They’ve created their own tech/lead generation solution, www.TheScrapPost.com, which connects other recyclers andscrappers around the globe. This comes at a time that the industry’s downfall is hurting many within the automotive recycling industry. 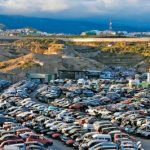 TheScrapPost.com is essentially a “Craigslist for scrappers” and it’s become the company’s number one lead source for buying and selling scrap metal, cars, and electronics. GLR’s competition uses this website (membership is at over 5,000 members) and revenues are on pace to hit $5 million in 2016 (over 5 times the $984,000 revenue for 2015). One area of automotive recycling that is gaining more attention, especially in light of the downturn in the industry is plastic recycling from automobiles. As Kelly explained, the majority of plastics from shredding operations of automobiles are sent to the landfill or used as landfill covers. Some plastic mixtures may be incinerated to collect the energy from the organic chains. 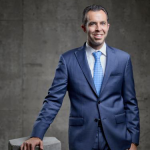 “Tires, on the other hand, are sometimes reused if the tread allows but typically either incinerated, shredded and sent to landfill, or reused for very specific applications, such as rubber for courts, turf field pellets or asphalt production. So why should automotive recycling companies pay attention to the recycling of the plastics of automobiles in addition to the metal components? One reason is because there are sorting systems that have been developed or are being developed to separate plastic that can be used to increase the commodities value and give them a second life beyond the shredded landfill cover. Secondly, if nothing else, there is a great deal of intrinsic energy that can be harnessed as long as all EPA regulations are met at specific incineration and gasification waste-to-energy sites. Recyclers will continue to face a volatile market. As Bassirpour explained, there has been no stability in this industry for quite some time and he believes that is the new norm. The demand for aluminum in the automotive sector in North America is projected to grow through 2025. Ducker Worldwide reports a 39 percent increase of aluminum weight per North American light vehicle over the next decade. The study by the Aluminum Association’s Aluminum Transportation Group indicates that the growth of aluminum is partly driven by the benefit of vehicle light-weighting to meet the Corporate Average Fuel Economy (CAFÉ) standards. Aluminum is a lighter automotive material compared to conventional materials with the same or greater strength. Lighter material allows for building lighter vehicles with the same or improved safety performance while increasing fuel economy. In addition to more aluminum being used within the construction of vehicles, Kelly stressed that the future holds many improvements regarding further metallic and polymeric sorting capabilities. X-ray fluorescence can be used at the commercial level to pull copper shred from lead/brass and laser induced breakdown spectroscopy will allow for alloy sortation and then chemical sorts into predetermined chemical bins.